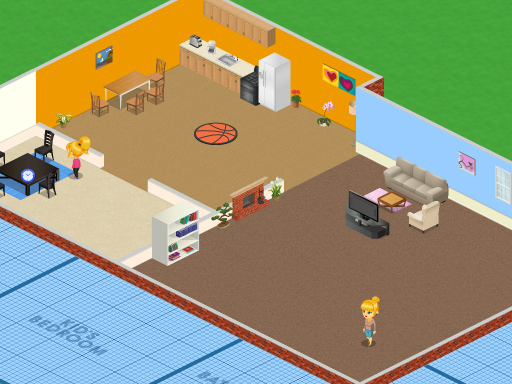 Miss to play The Sims? What do u love from play The Sims? 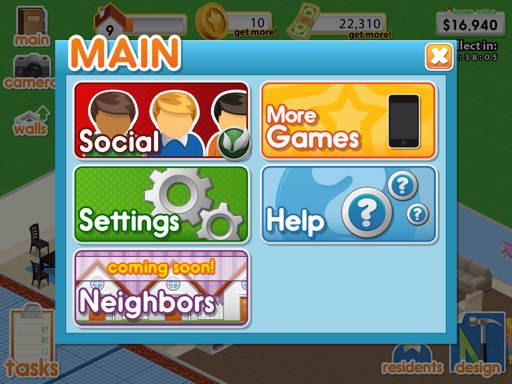 A freemium app for you who loves to create or design your dream home. Build and decorate your home with anything you love. 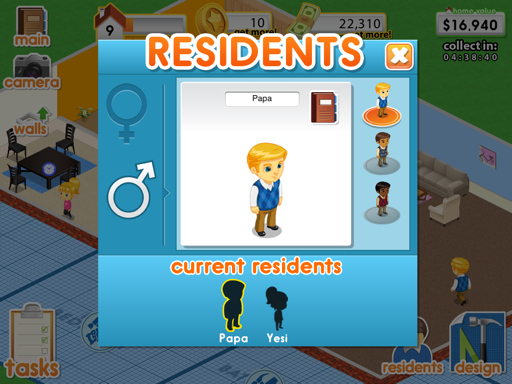 Unlike The Sims, the home residents can't interact with each other. They just like 'decoration' for this game. Alright, like the other freemium app. 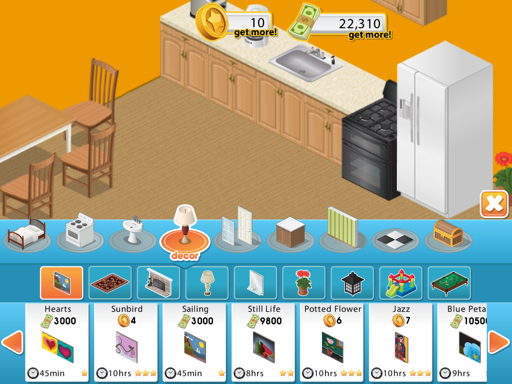 There are 2 income from the house, you will get money from collecting your house value and collecting coin for each share to twitter/ Facebook when u level up (I haven't update this game yet due to Internet connection issue, it said there's other way to get coins without buying in the new version, just check it later and I'll update this post ASAP). 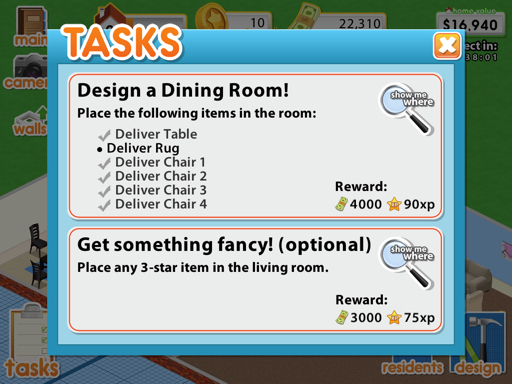 Complete the task to earn rewards, it can be money or coins. This game is actual time game. Like when the decoration said arrive at an hour. You should be patient to wait it. Every equipments at your house include plants are need to be take care. You will get some money for did that. Build your house from the living room, to kitchen then expand it as many as you like. The developer said will update neighbor facility soon. It will be great if we can visit other house from our community. The negative side from this app, we can't build the room by our self. This app locate the kitchen in left side of living room. Sometimes, we want to re-make it. Unfortunately, this app doesn't allowed it. So, this app is like decorating your home only, not designing the building. This app is over 50 Mb, you can download this game from iTunes at your computer or over Wi-Fi.